Hi everyone! 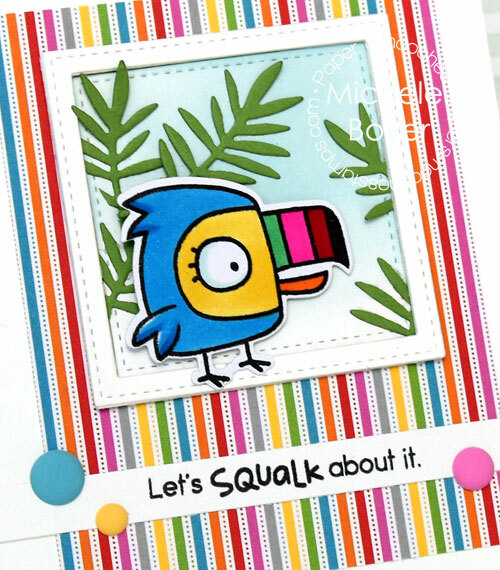 Today I have a card to share using Paper Smooches‘ super cute Baby Birds stamp set and Baby Birds Icons dies. 🙂 Baby Birds stamp set is free for the month of November with any $60 retail order. My bird was stamped onto white card stock and colored with Copic markers. After die-cutting, I perched him upon a stitched square frame, inserting a few die-cut branches behind him. I adore the sentiments in this set. So cute. The background was very lightly sponged with light blue ink, and the patterned paper is from Doodlebug Take Note (older 6×6 paper pad). 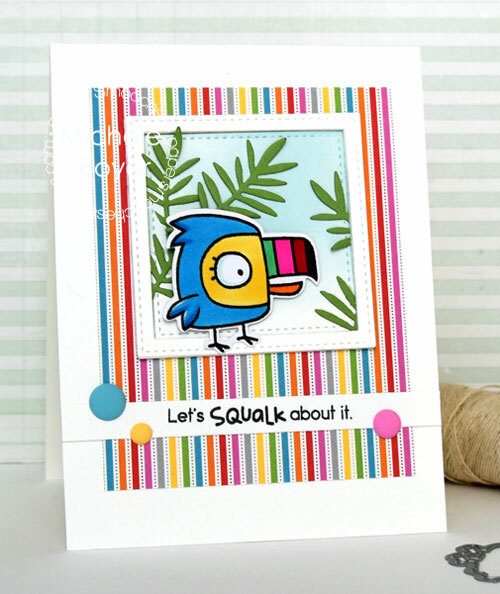 This entry was posted in Copic, My Designs, Paper Smooches. Bookmark the permalink.